The Cell-9 containment cell marks a major development in Newcastle city’s formidable waste collection task ensuring a place for our waste for many years to come. 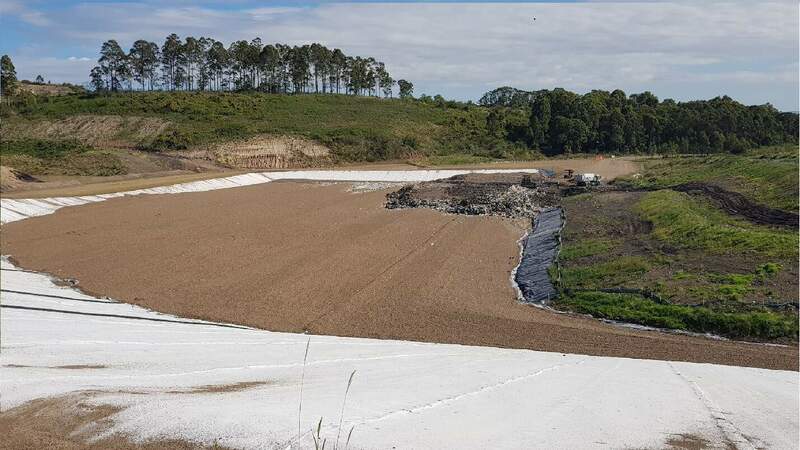 This project involved the construction of a new landfill cell The project was conducted in two separable portions. Separable Portion 1 (SP1 – complete) involved excavation of approximately 1.0 million tonnes of material, and lining of a new cell to form 400,000m3 airspace. Separable Portion 2 involved the excavation of 1.5 million tonnes of material, to further generate 2.6 million cubic metres airspace. The cell is sealed with a thick, specially engineered plastic membrane to stop leachate escaping, and with sediment basins and drainage berms to control stormwater, the cell complies with the strictest environmental controls. The project was complete on time and within budget.